It’s the day before Halloween, and for weeks, Durango has been host to fall weather. Flat silver skies, chill wind and cold rain, a golden leaf-spangled earth from the branches of aspen and cottonwood trees, a few maple reds added in for good measure. A ground lace full of color. The deep smell of wet soil, the sharper scent of coming winter. A time when the outside world roils with change. 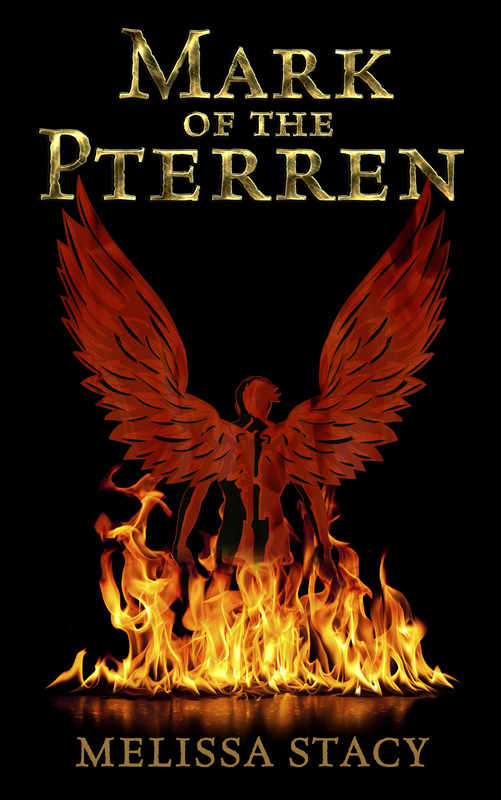 I hope readers like it — wings and fire are such dominant images in the story. I think my graphic designer did a beautiful job. The book is still awaiting a final line-edit, but I’ve already paid a $75.00 deposit to my ebook formatter, 52 Novels. They’re a great company to work with, and I recommend them to any writer like me, who finds the thought of learning how to convert a Word doc to a Mobi file a terrifying idea. The stuff of my nightmares, right there. Today, I spent the morning working on my mer novel, editing the result of a breakthrough with the story that felt like a long time in coming. For a number of reasons, I’ve been plunged into despair while writing this book. You would think, since it’s fantasy, that writing this book would be fun. And sometimes, it is. There are moments of joy. 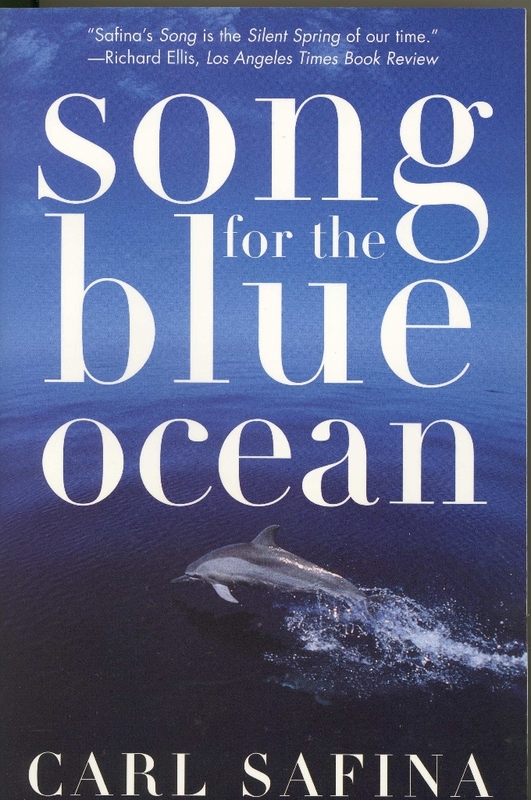 Song for the Blue Ocean, by Carl Safina (1997). Which is a beautiful book. Full of amazing research, and brilliant writing. Greg was out of town the night I watched the first Democratic debate. When Bernie Sanders was asked what the greatest challenge facing America is right now — he didn’t even hesitate with his answer, spoke with conviction as he said, “Climate change,” and I jumped up and just stood there, shaking, so full of emotion, I couldn’t even breathe right. After the debate, I went online and donated another $50.00 to Bernie’s campaign, in addition to other funds I have pledged — (which is really Greg’s money, as I have no income right now. So I should say, Greg donated another $50.00 to his campaign). I thank God for Bernie Sanders. Every day. Arctic Dreams, by Barry Lopez (1986) — another environmental examination of wildlife destruction, and our changing relationship to the land, focusing on the Arctic Circle this time. Arctic Dreams won the National Book Award, and like Song for the Blue Ocean, it’s a long book to read, with difficult subject matter, but the research is excellent, and the prose is deeply rewarding. So far, I haven’t sobbed. That’s been a relief. I feel like my heart gets wrenched out of my chest and stomped on sometimes, but I haven’t had that moment of putting-my-head-down-and-bawling like I did for Safina’s book. I finished reading the section on polar bears last night, around one in the morning. The section before that featured the muskox, and the muskox is so extremely fascinating, I really want to visit the Arctic now. Like, so bad. I want to see a wild muskox. And walk through an ancient forest of tiny trees. And witness a landscape as sere as a desert, with ice replacing the sand and sparse earth. Yes, I know about the tar sands, and the massive collapse of Arctic trees in the melting permafrost due to global warming — things Barry Lopez doesn’t write about in this book, because they hadn’t happened yet. But there was already plenty of bad news in the Arctic by 1986 to feature in his book. Not that this book is a romp of negativity — neither Barry Lopez nor Carl Safina are pessimists — but they write of the world without flinching, and the behavior of humanity takes courage to read about. Over the past week, I did mentally kill this book several times. And in the meantime, I started a new novel. A vampire story I’ve been waiting to write for years. And I love my vampire novel. I even found a way to make climate change a big part of my vampire novel, so I could continue writing about the greatest moral dilemma the world has ever faced, the looming crisis I can’t turn away from and ignore. I’m so excited for this book, so in love with it, I can’t wait to share the beginning here — on my blog — so my readers can see this project. This book has been a long time in coming, and it has the good fortune of being the fifth book I’ll write — and I can tell when I work on it, how much sharper I am at cutting words, paring down sentences, being ever more concise and savvy about word choice. 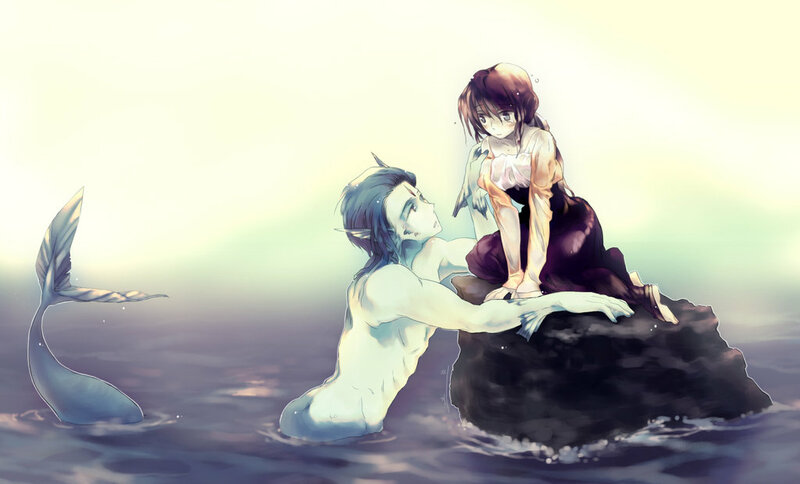 Then this morning, after giving myself a full week of vampire chapters, I went back to my mer novel. I edited my beginning four chapters again. And I found a place in my heart that still loves this book. Something in me that still thinks this story is noble and beautiful, even if it doesn’t open with “a high-action chapter.” Even if it just begins with a boy in his bedroom, a boy who can’t sleep because he’s afraid. The antagonist of this story isn’t so cut and dry. In fact, this novel does everything that guarantees it’s ill-suited to the YA fantasy genre. But to finish the story, I have to risk writing a book no one wants. Or a book the industry doesn’t want, I should say. I’m lucky I have friends who’ll always read the stories I write. I just keep hoping I’ll pen something I can sell, sooner or later. As Steve Jobs said, sometimes you just stay foolish and hungry. And that’s pretty much where I am in life this week. Very foolish. Very hungry. But despite my heartache with my work, the sun came out today, and there was some bright blue sky intermixed with the pre-Halloween raindrops. 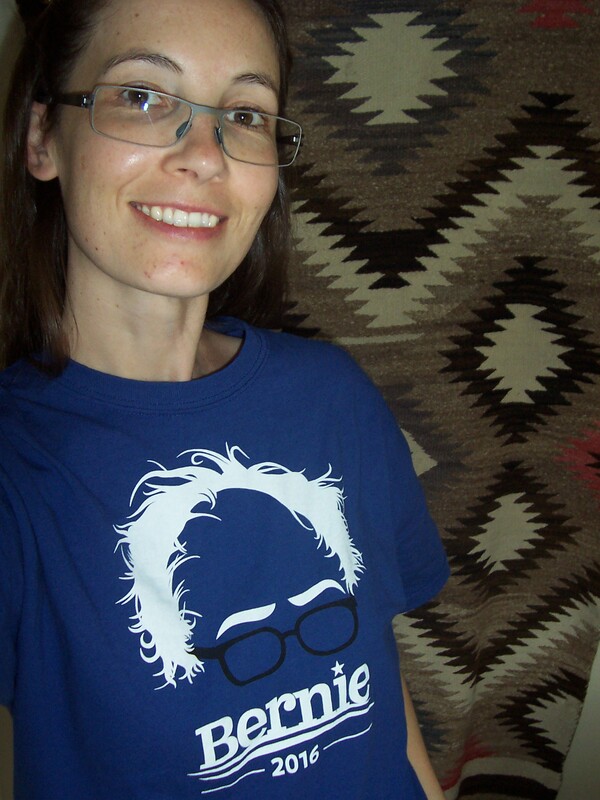 And I’m rockin’ my Bernie shirt, sipping hot coffee, enjoying an egg sandwich and slices of goat cheese, and I might be hungry sometimes but I’m certainly not starving. Even if I’m not on the well-marked path of success, I AM on a path, and it’s as full of tricks and treats as any other. 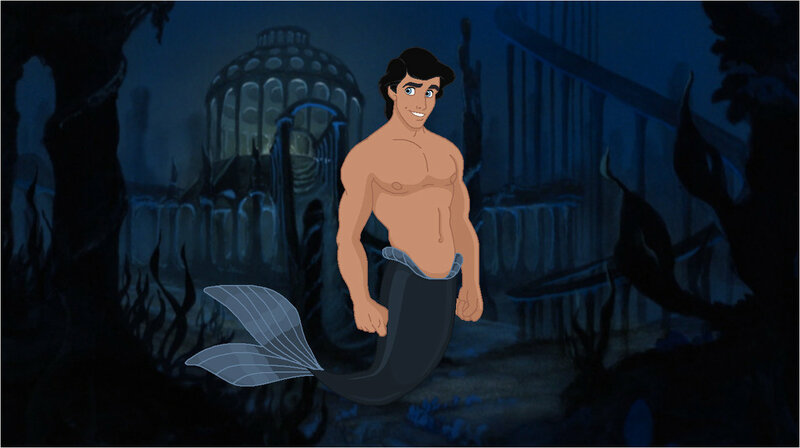 Also, merpeople. My path has lots of merpeople on it. For the time being.